Hegde Uthkala Bhaskar Associate Professor, Department of Anesthesiology, MVJ Medical college and Research Hospital, Hoskote, Bangalore. Sumanth Kankanala Associate professor, Prathima Institute of Medical Sciences, Kareemnagar, Andhra Pradesh. G Nischala Reddy Registrar, Department of Anesthesia, Virinchi Hospitals, Hyderabad. Background: Spinal anesthesia is the most commonly used technique for lower abdominal surgeries as it is very economical and easy to administer. 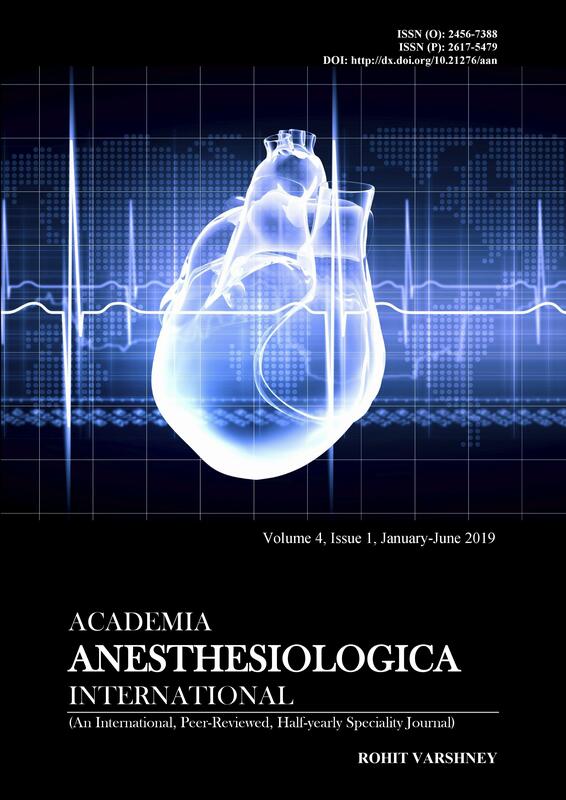 This study aims to determine the effect of intrathecal administration of Neostigmine and Dexmedetomidine as adjuvants on the onset and duration of sensory and motor block and postoperative analgesia produced by spinal Bupivacaine. Subjects and Methods: prospective randomized clinical study was carried out on 100 patients belonging to ASA grade I and II, posted for elective Sub umbilical surgeries under spinal anaesthesia, The study was designed to compare neostigmine 50mcg and Dexmedetomidine 10mcg along with 15mg 0.5% bupivacaine, in subarachnoid block. 100 patients were divided into two groups using randomized double blind method with 50 patients in each group. Results: The time of onset of peak sensory block is higher in Group D as compared to Group N. Mean Time for onset of peak sensory block in Group N was 5.48 ± 0.43 min and Group D was 7.31 ± 0.44 min. p value is < 0.01( statistically significant). Time for two segment regression was significantly higher in Dexmedetomidine group as compared to Neostigmine group. The onset of motor block in group N is earlier as compared to group D. The duration of analgesia is significantly higher in group D as compared to group N. Conclusion: Our study concludes that the use of intrathecal Neostigmine 50 mcg added to 15mg hyperbaric bupivacaine significantly hastens the onset of sensory and motor block. Dexmedetomidine(10mcg) when used intrathecally along with Bupivacaine significantly prolongs the duration of motor blockade, two segment regression and duration of effective post-operative analgesia.